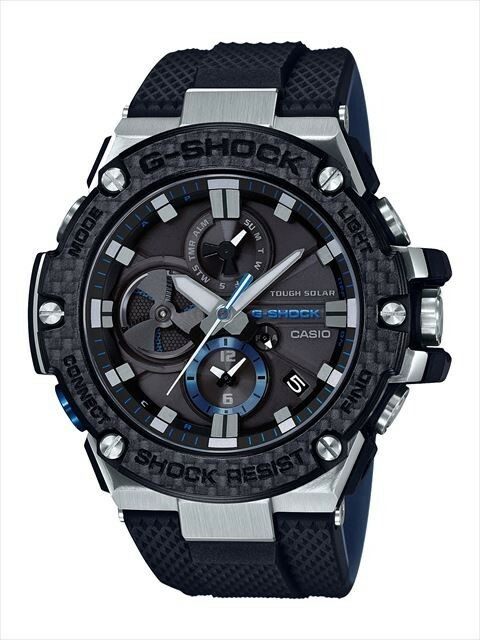 Japan’s leading wristwatch brand G-SHOCK/ CASIO has been in the market since 1980’s, and it has become popular not only for Japanese but also for foreigners. Among them, G-STEEL which features a bezel with combination of different materials, can be said is ‘the most advanced wristwatch’ as it is equipped with stopwatch function by analog display, automatic time correction function linked with smart phone and mobile search function. 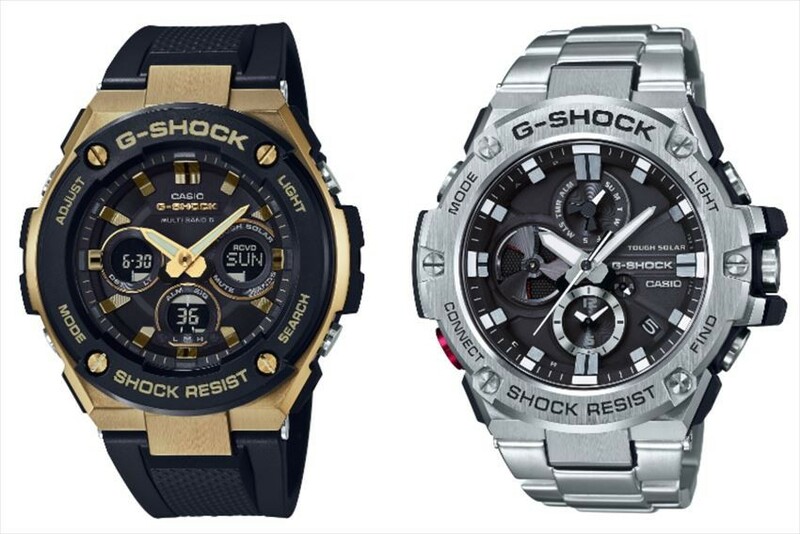 This time, we will introduce 5 recommended models from G-STEEL! 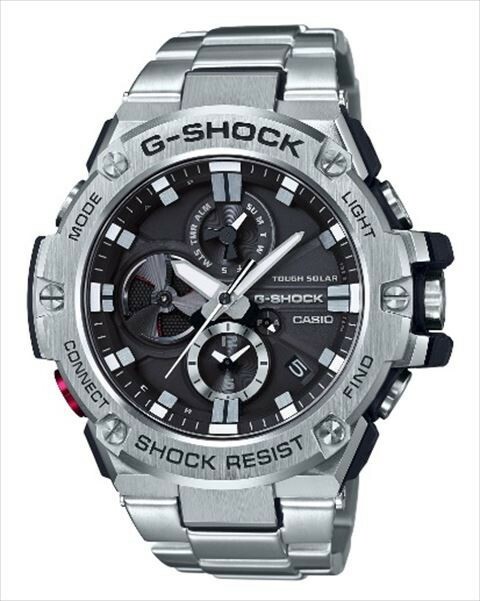 In the G-STEEL series, it is the first model with a stopwatch function by analog display. There are three in-dials (small dials arranged in the dial), which are responsible for alarm on/off function, stopwatch and role as a battery indicator. Noteworthy is the "smart phone link" function using wireless communication with a Bluetooth® compliant smart phone. In addition to the "automatic time correction function" that can acquire accurate time with one push in assistance with smart phones, alarm, timer and needle position correction can all be done with smart phone. Especially ‘automatic time correction function’ is very useful when traveling or business trip to overseas. It also can display the 2 time zones at the same time. Furthermore, when you lost your mobile phone, it has ‘mobile phone search function’ that you can search by making your phone ring from your watch. Although it has multifunction, the thickness is 14.1mm. The impact resistant structure is certainly maintained. Carbon material is used for bezel, which is characterized with high rigidity, light weight and little deformation even when force is applied. In addition, sapphire glass which is strong against scratches and has high visibility is used on the face of the dial, and toughness is the feature. 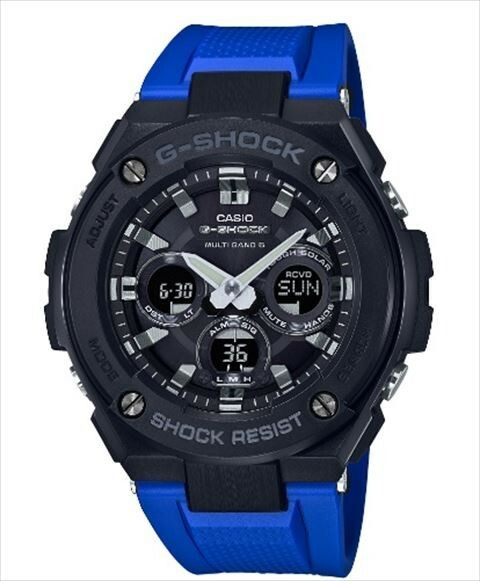 The surface of the band is black, but the back is blue. Also on the dial, blue is used same as the back of the band as a tone, to give a stylish impression. It also has the smart phone link function and mobile phone search function as mentioned above. The main attraction is the band. Tough leather, a type of synthetic leather with excellent wear resistance with resin core material, is stitched and shock resistance is secured from the back side. 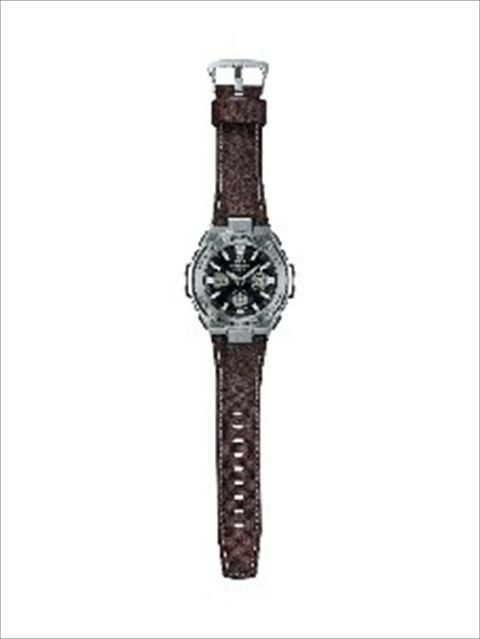 It is a product which makes the metal of the dial compatible with the leather of the band, so you can use it in any fashion without discomfort. With built-in shock-resistant miniature antenna, it has the function of automatically correcting time by receiving standard radio waves from Japan (Fukushima Bureau / Kyushu Bureau), China, North America, UK and Germany. Moreover, the dial can adopt the "neon illuminator" which causes the tip of the second hand and the scale to emit light in different colors, and the "white backlight" for the liquid crystal part, so you can check the time even in the dark. Its feature is small and slim besides having durability and functionality. It is recommended for those who do not want to have too much presence of the watch. In addition, the band uses soft urethane material, so you will not feel the weight even if you wear it for a long time as the burden on the wrist is little. 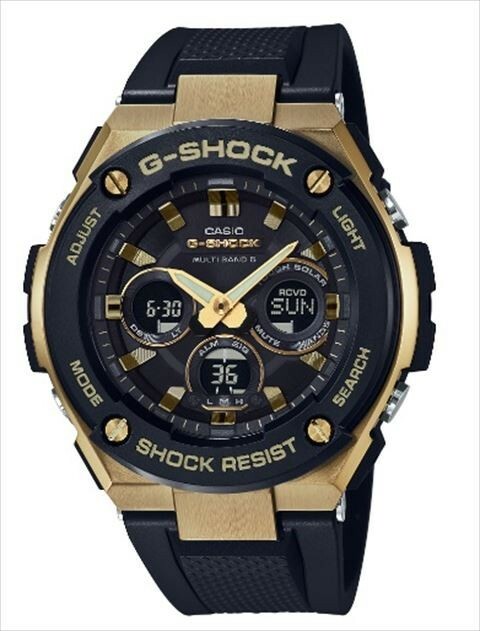 In addition, gold is used on bezel, minute hand and second hand, the combination of base color black and gold is cool. It is not only design but also practical use as it has function compatible with 6 standard radio waves in the world and super illuminator which illuminates the dial and liquid crystal part are installed so that we are able to check the time even in the dark place. It is the same series with "GST-W300G-1A9-JF" as introduced above. An impressive brilliant blue band which uses bold color blocks. 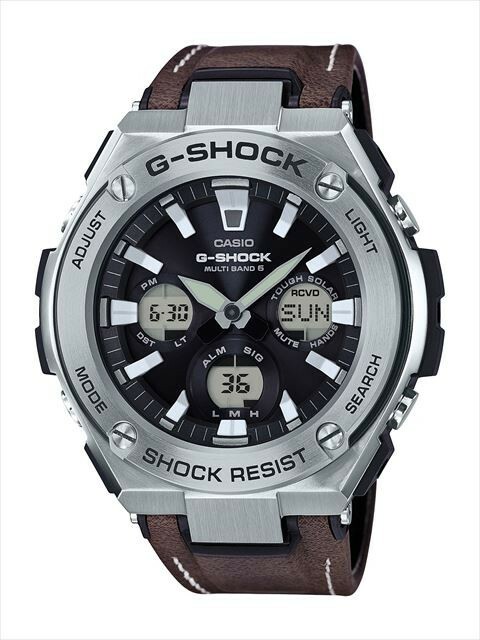 Just like GST-W300G-1A9ーJF, it has function that can correspond to the standard 6 radio waves in the world and "Needle retraction function" which can temporarily move the hour hand and minute hand to make it easy to see other display on the screen.